The Colony Square Mall in Zanesville is losing one of its anchor stores. WHIZ News has learned that Sears is closing its doors near the end of this year. Employees were informed of the news this week. Mall General Manager Teri Schaller says the Sears closure is something the Mall has anticipated some time ago and as a result has already begun marketing the space to a number of prospective retailers. Schaller says she anticipates a major announcement in the near future. 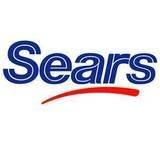 You may recall in December of 2011 Sears Holding announced that it was closing between 100 to 120 Sears and Kmart stores. No word yet if any other Sears or Kmart stores will be closing this year.